If you like the Fortwo's style but can't stand the powertrain, you might want to wait a year or two (or until your next purchase) for the Smart Electric Drive, a vehicle that in our experience feels more in synch with this minicar's urban mission. The 2011 Smart Fortwo is at its best on congested urban streets; at highway speeds its less-secure feel becomes a liability in several ways. With its diminutive size and Fisher-Price-like details inside and out, the 2011 Smart Fortwo two-seater might seem a little more like a toy at times. 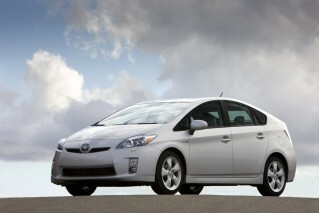 Don't let that put you off too much; it's a real car—competent in the city and fun to drive in urban traffic. However after seriously considering the Fortwo's many tradeoffs, many shoppers would be better served by a more conventional small car or hybrid. The 2011 Fortwo can, at low speeds, feel quite perky and nimble. But out in the suburbs, especially when traffic thins out, the Fortwo's drawbacks—a busy, hard ride, noisy interior, lack of power, and iffy roadholding—become serious issues. 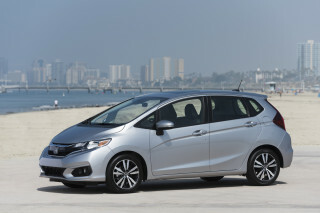 Consider that real-world fuel economy also isn't much better than that of other four- or five-passenger small car models, and the 'wow' factor yields to reality. What's still genuinely worthy of oohs and ahs is the Fortwo's interior space. Though it's just a two-seater, it can easily accommodate those over six feet tall, with more than enough headroom for all. What's a little more disappointing is the Fortwo's lack of cargo space. There really isn't much space behind the seats except for a modest row of grocery bags. The instrument panel also feels like a flashback to the econoboxes of the 1990s. Decent—though by no means great—crash-test ratings are somewhat redemptive, as well as standard anti-lock brakes and stability control, plus side airbags and a so-called Tridion safety cell that gives the protection of a larger car. But at a time when convenience, connectivity, and tech features is what matters most of all to some shoppers, the Fortwo is remarkably barren. The base Pure model doesn't even come with a sound system, though high-end Passion and sporty Brabus models add more extras—albeit at a significantly higher price tag. High Gear Media hasn't yet driven the revised 2011 Smart Fortwo; this review combines impressions from former model years of this mostly carry-over model, along with information on what's changed from interior and feature standpoints. 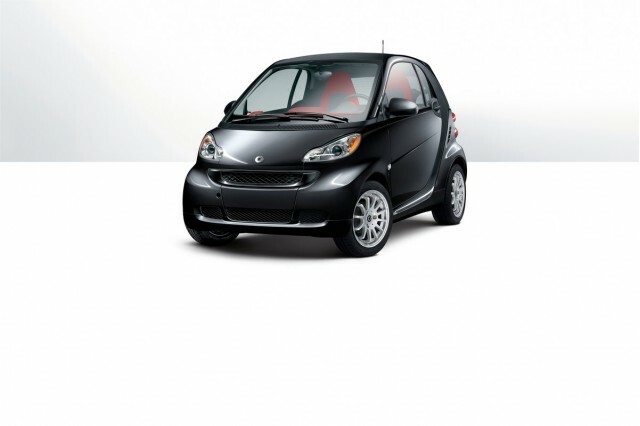 Short of supercars, few other vehicles draw the attention of the 2011 Smart ForTwo. The 2011 Smart ForTwo offers two basic models: a coupe with a fixed roof, and a Cabriolet that has two removable roof panels for a more open-air experience. With its slab sides and non-existent nose, the ForTwo looks wide for its length of less than 9 feet, and taller than some subcompacts. It's only from the side that you notice just how short it is—it's the stubbiest car sold in the United States. All Smarts have a silver or black slash running from the windshield post, along the roof rail through the rear pillar to the doorsill, effectively outlining the door opening. 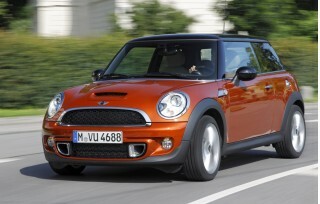 The total effect of the tiny car is guaranteed to draw attention, positive and negative. The BRABUS edition, which was formerly the most aggressively styled model in the Fortwo lineup, is no longer available, but several of the features from the BRABUS, like the larger 15-inch alloy wheels, are now offered as options. A new Style Package brings many of those upgrades, including metallic body panel colors, fog lamps, and a new six-spoke alloy wheel style. For 2011, the dash gets slightly different materials inside and an improved look overall, with some matte-metallic finished, slight reshaped dash and door details, and a different steering wheel. Up close, though, the look is still a little stark and almost trucklike. While the 2011 Smart Fortwo feels peppy in low-speed urban environs, it's slow, bouncy, and skittish at highway speeds. All 2011 Smart ForTwo models are propelled by a 70-horsepower, 1.0-liter three-cylinder engine supplied by Mitsubishi, driving through a five-speed automated manual transmission. Below 40 miles per hour, the peppy engine, low gearing, and quick steering make the 1,800-pound 2011 Smart easy to toss around town. While the transmission doesn't shift particularly smoothly, the ForTwo is a fun car to drive on tight city streets—never more so than when it's time to find a parking space. But the same features that make it so much fun in the city—the short wheelbase, negligible length, and quick steering—work against it on the highway. The quick steering and short wheelbase combine to create a twitchy, choppy, busy ride that's especially susceptible to crosswinds, bumps, and truck ruts. Its 0-to-60-mph time of about 13 seconds puts the 2011 Smart ForTwo on a par with economy cars of two decades ago. Sandwiched between semis at 70 mph, the Smart ForTwo requires a brave heart and confidence in its crash-test results. Small size and fuel efficiency have to be very high on a driver's list for the 2010 Smart ForTwo to be worth the sacrifices in mixed use. Two adults fit into the 2011 Smart Fortwo surprisingly well, but with a lack of cargo space and lots of noisy and ride motion there's little else to make the experience comfortable. The look of the Smart Fortwo has changed slightly for 2011, but the accommodations have stayed the same. Inside, the 2011 Fortwo feels basic, much like a small pickup cab, with a rather short, plasticky instrument panel and controls—now newly spruced up with some resculpted details and matte-metallic trim. The surprises are the remarkable amount of headroom—even for those well over six feet tall—and good legroom. However, particularly broad people may bump elbows or even shoulders, because the cabin is narrow. The driver sits upright on short seats, and the steering wheel is more horizontal than in most cars, resulting in a driving position rather like that of a commercial van. The cargo space behind the passenger area of this two-seater is disappointingly small, allowing only enough room for three large shopping bags in a row. 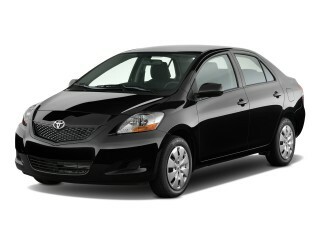 The front passenger seat can be made to fold forward, but it's an extra-cost option. At higher speeds, engine and road noise drown out conversation and the weak sound system; factor in a pitchy, bouncy ride and the 2011 Smart Fortwo has one of the most unpleasantly active new-car interiors you could get into. While the 2011 Smart Fortwo is quite safe for a minicar, test results suggest it doesn’t fare so well in collisions with larger, heavier vehicles—of which there are plenty on U.S. highways. For 2011, the Fortwo has eight standard airbags, including new knee bolster bags for the driver and passenger. Electronic stability control, anti-lock brakes, and side airbags all remain standard, and the passenger-side seat of this two-seater has a locking mode for the seatbelt, to safely fasten down a child seat. Safety ratings from the federal government have been restructured for the 2011 model year, and the Smart Fortwo hasn't been tested or rated under the revised procedures. Under the outgoing ratings, the Fortwo earned top five-star ratings for side impact but earned three and four stars for frontal impact. Ratings from the Insurance Institute for Highway Safety (IIHS) haven't yet been extended to the 2011 model, which is structurally similar, but the 2010 Fortwo received top 'good' ratings in frontal, side, and roof strength tests, with 'acceptable' scores in the seat-based rear-impact test. Smart says the ForTwo's so-called Tridion safety cell provides occupant protection that rivals much larger vehicles. But tellingly, the IIHS crashed a Smart ForTwo against a Mercedes E-Class sedan in a typical frontal-offset collision, and found that the ForTwo did not fare well in a collision with larger, heavier cars. The seating position in the 2011 Smart Fortwo is on the level of other cars, but without much in front or behind the driver it can also feel especially vulnerable. On the plus side, outward visibility is quite good. For all its stylishness, the 2011 Smart Fortwo isn’t leading-edge for features, though an iPhone-based nav system helps fill the gaps this year. For all of its stylish appeal, you might think Smart is ahead of the curve with respect to connectivity and in-cabin tech features. Up to this year, that hasn't been true at all and the Fortwo has inside felt a little bit like economy cars of yore because of its basic appointments and unimpressive sound systems. This year, that changes a bit with the help of smartphones. For 2011, the SmartDrive app brings Internet radio, Bluetooth hands-free, and navigation capabilities to the Fortwo (it requires a special dealer-installed cradle however—and an iPhone and data subscription). In addition to the extensive interior changes—including a significantly restyled instrument panel, locking glovebox, and revised materials and trims—the Smart Fortwo's standard-equipment list remains mostly unchanged for 2011. 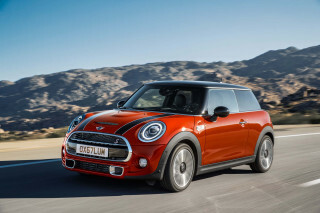 The Coupe is offered in two different trims, Pure and Passion, while the Cabriolet is only offered in Passion form. The Pure is the lowest, most fundamental equipment level, giving buyers only the very basics—not even a stereo. All Smart ForTwo models do have keyless entry, a rear defroster, and an outside temperature display. 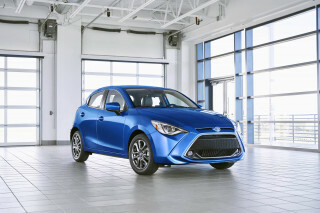 Most buyers will want to upgrade to the Passion model, which includes a panorama roof, flashier alloy wheels, automatic climate control, power windows, and a two-speaker AM/FM/CD sound system (although it remains inaudible at speed). The "premium" four-speaker-plus-subwoofer system that's optional on Passion Coupes and standard on the Cabriolet is better, though. Top-of-the-list options include electric power steering, which frankly seems superfluous on the Smart ForTwo, heated seats, and fog lamps. Air conditioning is optional, and power windows and mirrors aren't at all available. 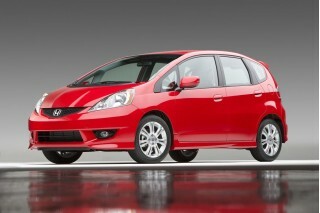 For 2011, there's a new factory-option cruise control system and two new exterior colors. A rain/light sensor is now a standalone option, enabling automatic operation of the headlights and wipers. Cabriolet models add removable side roof bars that stow neatly in a compartment in the tailgate; it's not quite the wide-open experience of a standard convertible, more the modern-day equivalent of T-tops. Also new this year is a Lightshine Special Edition, which comes in Passion Coupe or Cabriolet models in either green matter or light blue metallic colors, bringing high-performance audio, navigation, Bluetooth hands-free, and BRABUS LED running lamps and dashboard instruments. BRABUS 15-inch alloy wheels are also included. The 2011 Smart Fortwo’s 33-mpg city rating doesn’t wow—especially considering it only carries two—but lots of emphasis on recycled materials and recyclability tips the scales. EPA fuel economy ratings for the 2011 Smart Fortwo, at 33 mpg city, 41 mpg highway, just aren't that impressive. And that's even before considering that premium fuel is required. 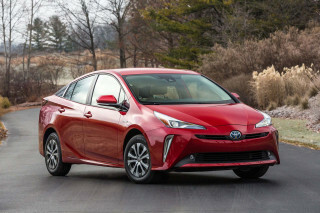 Larger and more capacious hybrids, including the Honda Insight and Toyota Prius, do better without the sacrifices, though admittedly they're pricier. 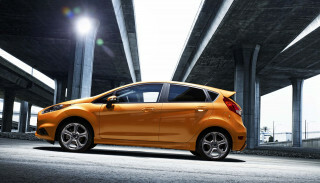 However a growing legion of subcompact and compact cars, ranging from the Ford Fiesta to the larger Chevrolet Cruze Eco and Hyundai Elantra, can haul four or five passengers and achieve at least 40 mpg on the highway. The Fortwo's body panels are made of plastic and are molded in color with eco-friendly water-soluble paints, while 100-percent recyclable synthetics are used in several aspects inside. 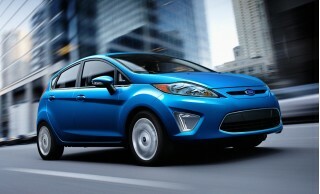 A greener, all-electric Smart Electric Drive model is in the works, but it's not yet available to the public in 2011.